Super Mario Run, Nintendo's first big mobile game, will hit iOS on December 15 and it will have a (relatively) premium price tag. Nintendo announced today that a one-time purchase of $9.99/£7.99 will unlock all of Super Mario Run's features, though players will be able to try "elements" of the game for free just by downloading. 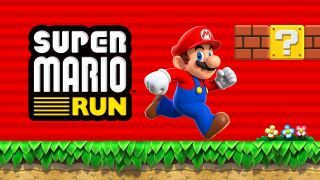 Nintendo has previously confirmed that it will also release Super Mario Run for Android, but it didn't mention when. It's uncommon on either OS to see mobile games cost as much as $10. That's not to say many free-to-play and low-priced games won't ultimately wring that much or more out of dedicated players, they just usually spread it out a bit. Hopefully Nintendo and Mario himself have enough clout to make Super Mario Run's premium approach a success. Here's some gameplay video if you haven't seen it in action yet. It’s standard-ish Mario levels played like a one-button, Canabalt-style runner, with some more modes layered on top.